MP Nandala Mafabi made a name for himself during the recent elections by confronting security agents he said were rigging the polls in his constituency. Now this 45 year old has been elected to head the opposition in Parliament. Will this young blood in that leadership role help to unite the opposition to confront their counterparts in the majority NRM? KD: Everyone saw pictures of you “commanding” voters to guard the vote. Are we going to see the same spirited fights in Parliament from you as the Leader of Opposition? Mafabi: As a leader of opposition my job is to lead my colleagues in Parliament but we are going to work as a team and our interest is to guard the interests of the public. In that regard, that is the way we are going to fight for the people of Uganda and the voiceless. I can assure you that it is a determined fight and under my leadership, there will be no body to fear. We are going there with determination. We know because of the number of members we have in Parliament, we have to work an extra mile and I can assure you we shall make it and off course we have the support of the people on our side. KD: You have been pitied against Mbabazi who is Museveni’s blue-eyed boy and a provocative politician. How do you intend to go about working with him? Mafabi: I must tell you that arrogance must march with intelligence. We are not going to argue from the blue but on facts and evidence and given that fact that we are going for that, I can assure you that we are going to win. Arrogance cannot march with issues especially when you are not delivering anything. Mbabazi cannot threaten us, if he brings arrogance we shall respond, if he brings confrontation, we shall do the same. If he plays dialogue we shall do the same, we have all the capacity and attributes and that is not our worry. KD: Only one opposition MP walked out of Parliament when you were negotiating for new cars while the ordinary citizen continues to suffer. Does it mean that all the other MPs agreed including your members of the opposition? Mafabi: If we are using the experience of the previous Parliament, the public sees Parliament as one of the entities where resources are wasted. I can say that if this Parliament worked hard so that there are drugs in hospitals, good roads, good education for all then people would see that there is something in the making. But if the MPs are fighting for their own interests without considering their electorates, that will be the feeling in the public. How can the speaker and deputy spend three billion on travel every year? Three billion times five years comes to fifteen billion which is a lot of money. If I had become speaker I would have brought a lot of changes with that money instead of spending it on trips. On the issue of my colleagues demanding for cars for shs.200 million, I do not think this economy can afford it now. About emoluments, the population that votes us expects us to do roads, provide safe water, and build schools. I see no reason for an MP going to borrow 300 million because Parliament has provided a guarantee as emoluments. If I were a speaker, I would recommend that in case one needs some advance, one would get that considerable amount from the institution you serve instead of borrowing from money lenders. KD: You have been a firebrand in the Public Accounts Committee. As leader of the opposition in the ninth Parliament, what are some of the issues that you are looking forward to address? Mafabi: One of the major issues is to provide alternatives to government a strong opposition shadow government. Secondly, we need to monitor government activities if we are to hold them accountable. Although they are many and we are few, we shall constantly keep them in check. We shall not tolerate corruption, abuse of public resources and we shall not accept failure to implement what we have agreed. KD: The law to deny bail to rioters or economic saboteurs among others is coming. How are you going to fight this, given your few numbers? Mafabi: This proposal requires amendments to lots of laws in the constitution. You cannot deny someone bail when there are provisions granting that in the existing law. Denying someone bail is unconstitutional. There are so many clauses intertwined in that denial. This should be left to the magistrates’ courts and under Ugandan law, you are innocent until proved guilty. So how do you deny someone bail when you have not proved that person guilty? KD: The opposition has been involved in the vigorous Walk to Work campaign which has now been transformed into Hoot and Drive. Why the change? Mafabi: Walk to Work is just to bring public awareness of the suffering we have in Uganda. There are many people that are being oppressed but do not speak for themselves while even failing to afford the basic needs. Life is too hard for them yet we have a government in place. Secondly people have been paying taxes for 25 years. If one sleeps hungry, the following day he has to decide whether to continue with hunger and die or go out and fight to get something to eat. When a government over stays in power one of the things it does is to oppress people thinking that nothing can happen to it. The Walk to Work campaign has not stopped. People are still walking and I still participate in the campaign. And as leader of opposition, I will still participate in the campaign. Also about the noise, it is still ongoing and if you go to the villages people are actively participating and if someone goes on a hunger strike to express his/ her dissatisfaction, the message will be received. KD: Some opposition members were opposed to your election as leader of the opposition in Parliament saying that you are short tempered. Are you going to tone down? Mafabi: I have been talking to you now and have I shown any short temperedness? The moment you raise temper, you will definitely be responded to with temper and if you become confrontational, we respond likewise. If you get a thief do you call him for negotiations? A thief will be handled like one but if there is room for dialogue, we respond in a similar mood. Everybody stealing public resources will be confronted so tempers are a result of the present action. Many people are good at compromising with the state and for me what is good I compliment it and what is bad I will still mention it. That is why I handled the Public Accounts Committee and I want to say that the committee in the past five years never had a minority report yet it had 16 members of NRM and four from the opposition. KD: As leader of opposition you have some privileges over other members of parliament like two cars and a bunch of allowances. Is it not shameful for you to have these while other Ugandans cannot afford two meals a day? Mafabi: I don’t know what privileges you are talking about. I was appointed leader of opposition on Monday and as you came in, have you seen any car or guards accorded to me for that position? I am driving my pick up which is parked there. Whether there is car or not I will deliver. I was in Public Accounts Committee and had a pick up and even the first time I came, they gave me a Starlet and I refused it. If there are any, all my colleagues on the shadow cabinet will use them because they are for the office not the individual. KD: There have been claims that you are also going to be provided with food for your home. Is that true? Mafabi: When you look at me as a person, I have not gone hungry so if there is money coming to my office, it will help my colleagues but I think the meals they are talking about are the ones provided when there is a seating in the house, not food at my home. I want to let you know that as soon as I get to that office, I will declare whatever is there. KD: The Independents in parliament have formed their caucus. How do you think this is going to affect the opposition? 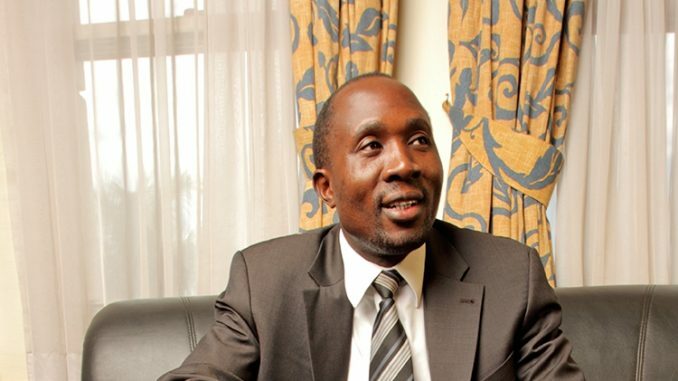 Mafabi: I do not think there will be a big effect because there are those Independent members aligned to the Movement as well as to the opposition and I do not think there will be a big deal. They will find a seating arrangement that is in line with their following especially when it comes to the general seating in the house. For us as opposition whoever wants to sit with us we have no problem with that. 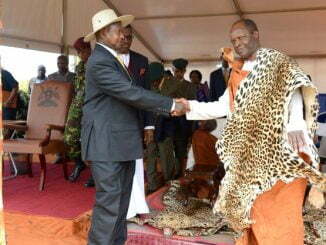 Whoever will want to benefit from the NRM will sit with them. KD: Have there been any discussions yet between the top NRM officials and the top opposition leaders? Mafabi: No, there has not been any as far as I know and what you must know is that this government has no interest in any dialogue. KD: Do you have your eyes on Besigye’s job? Mafabi: No. Besigye is still party president up to 2014, that is when we will see who is coming in to contest. As we talk now we are building the party which we love so much where everybody is a committed cadre. In 2014 all those with qualifications will ontest and that is when we shall make the decision at the party conference. KD: Would you run for the party presidency? Mafabi: We shall decide that at that time but for now I am the leader of opposition and a local politician from the mountains of Masabaland and a very strong supporter of FDC. KD: What is your comment about the new cabinet? Mafabi: To begin with there is no big change. 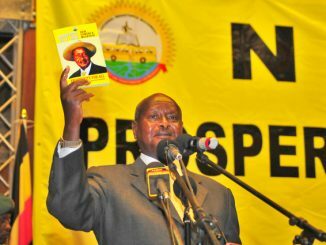 But to bring people like Nasser Sebaggala you can see that the President is thinking of abusing Ugandans in my opinion. Sebaggala is persona non grata in America so how will he travel to Washington if assigned as a Minister for General Duties? The other old ones, it is not surprising. 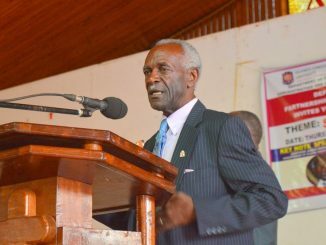 I want to thank Dr. Kizza Besigye who appointed me because I am in the middle age. We young ones are the ones supposed to go to the elders for advice. But now if a president can appoint his age-mates or even those older than him, who will give him advice? They are also struggling to get advice, who is going to give it to them? The people who would give it to them are already dead. KD: You have been a firebrand of that committee; do you have any one you think can equally drive it in your footsteps? Mafabi: There are more capable people there who can steer that committee. KD: What do you have to comment on the capacity of our Parliament which was designed for few legislators but now will hold 375 MPs? If all of you attended, would you fit in that house? Mafabi: No, and I think we have gone wrong somehow and we are no longer realistic with the situations. Whenever you create a district, you are creating a Woman MP. I believe the number of MPs in that house should not be more than 100 and the country would be effectively represented. When you have such big numbers, you will equally have a few that will contribute something so in that regard I think we have made a mistake. We have local councils which are doing the same job. So for me that huge house does not offer much but that is what Museveni wants. Our Parliament is the biggest in the world given the population and the money we spend. Our economy is bad but here we are. KD: Government spent Shs. 840 million to buy vehicles for the Speaker and the deputy Speaker. What kind of cars are these and is this kind of expenditure justified? Mafabi: This is wrong and that is why we want all Ugandans to get interested. One of my first assignments will be to find out what type of cars these are? A Jaguar is about US dollars 100,000 but the cars have already come and you will see them. It might turn out to be like the CHOGM investigation where people wanted to buy BMWs which are known to be manufactured by one company in the world. People decided to go through an agent of BMW and the price was more or less doubled. We must investigate this and I want to call on the journalists and members of the public to help. Somebody must come up with the correct information on this purchase. Even if it was the right value per car, that is criminal given the state of our economy.